It made a lasting impression and it deeply fulfilled my soul. Madame Maillard brought it out in a cast iron pan not much larger than a dessert plate. 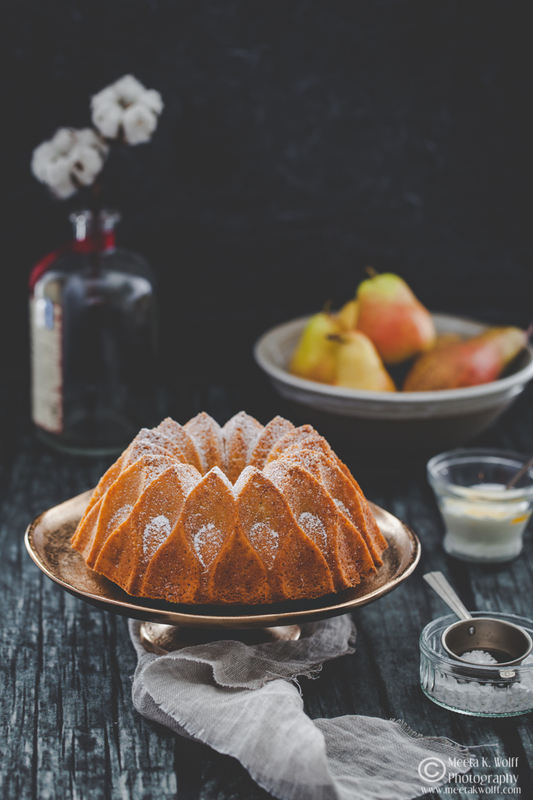 The sides were puffed up like a soufflé and browned on the edges, and the juices of the fruit left a blood-red trail within the ridges. Peeling off some waxed paper from a small ceramic bowl she pulled out of the fridge and to my delight, she formed the perfect quenelle of Crème Fraiche and carefully placed it on top of my very first cherry clafoutis. Up until this moment, I had not taken to the meal too well. The starter had put me off and I was picking at the rest of the courses with extreme trepidation. Monsieur Maillard had set down a plate of cold thinly sliced meat drizzled in a vinaigrette-like sauce and some lovely homemade warm bread. Without a break in their chatter, my host forked a slice on my plate spooning some of the sauce over the slice of meat. The dish was cold but I decided to dip the warm bread into the sauce. As I sliced into the meat, I had a flash of a second thought. I had no idea what I was eating but my brain registered something about a Tête. I took another bite and was not sure if this was really what my palate imagined when I had decided to spend a summer in Paris with a guest family. But then I heard it again and I pricked my ears to get the gist of exactly what I was eating - Tête de veau. My face must have fallen as I heard giggles from across the table. My A'level standard French was able to translate calf's head for me to understand what was on my plate. I continued to chew the meat trying very hard not to fulfill all the clichés of a foreigner in France. But it was no good I was unable to finish my plate and tried to avoid the smirks of the others on the table. I awaited the next course with a certain anxiety but was quite relieved to see the familiar form of chicken in the roasting pan. Grandmére Maillard put a reassuring hand on my arm, making me feel insignificantly better. The chicken was filled with liver patè and while it looked elaborate for a family meal it tasted rather bland, the meat dry and insipid. Nonetheless, I cleared my plate more due to the fact of being hungry after a whole day at the language school and I did not want to come off as a picky or spoilt towards my guest family. "Grandmére Maillard a fait le dessert aujourd'hui!" - Grandmére Maillard had made the dessert today. 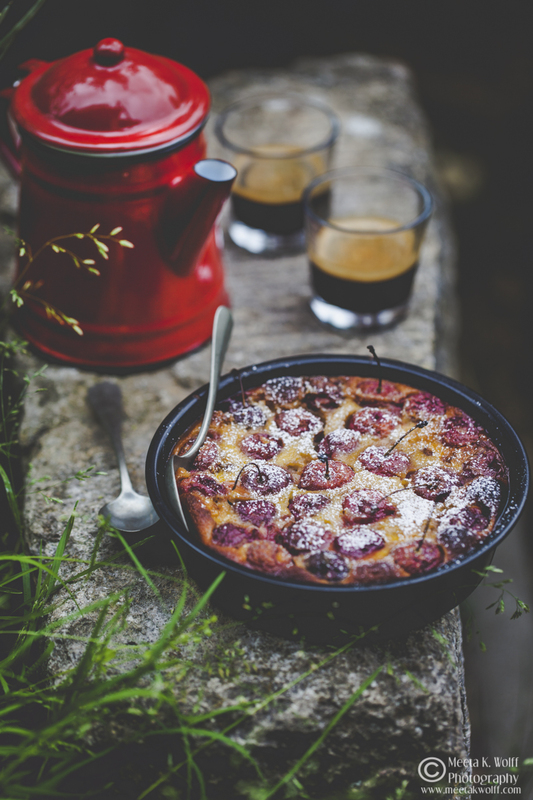 Spoons and plates were passed around, I could feel the slight excitement at the table as everyone waited to be served a portion of Grandmére Maillard's cherry clafoutis. The fluffy custard with the golden ruffled edges was dotted with sweet dark French cherries stewed to a jam-like consistency. It had gotten quiet around the table, the only sounds were of the spoons scraping the plates as we all voraciously devoured the clafoutis. My first cherry clafoutis back when I 19 has somewhat of an iconic place in my heart. After tucking into Grandmére Maillard's cherry clafoutis I visited a local bookstore a few days later to browse through some of their cookbooks. Of course, I was looking for a recipe for a clafoutis. Having found a few, I was finding it hard to believe that only the most basic of ingredients like milk, eggs, flour, and fruit could produce a dessert so utterly glorious. Feeling underwhelmed and expecting a lot more to Grandmére Maillard's clafoutis I decided to ask her. Her English was modest at best and I was hoping that my French lessons would pay off. 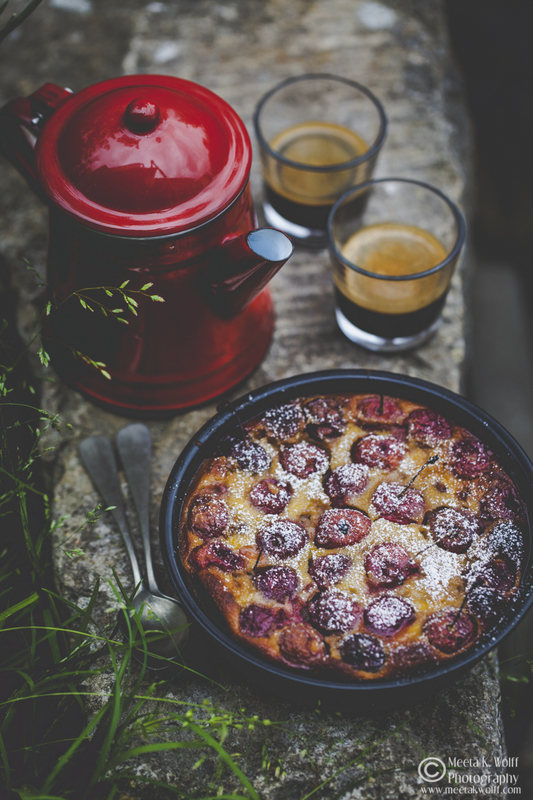 It came as a surprise to me when she confirmed that a clafoutis used only basic everyday ingredients and the freshest of seasonal fruits. However, she did give me a valuable tip that day. She told me that many make their clafoutis cake-y, which happens to be quite fine but the real appeal of a clafoutis is when the texture is smooth like custard. Since then many years have passed and I have made a lot of clafoutis - a few have been quite lousy! But over the years I like to think I have found a great balance in making a pretty good clafoutis. 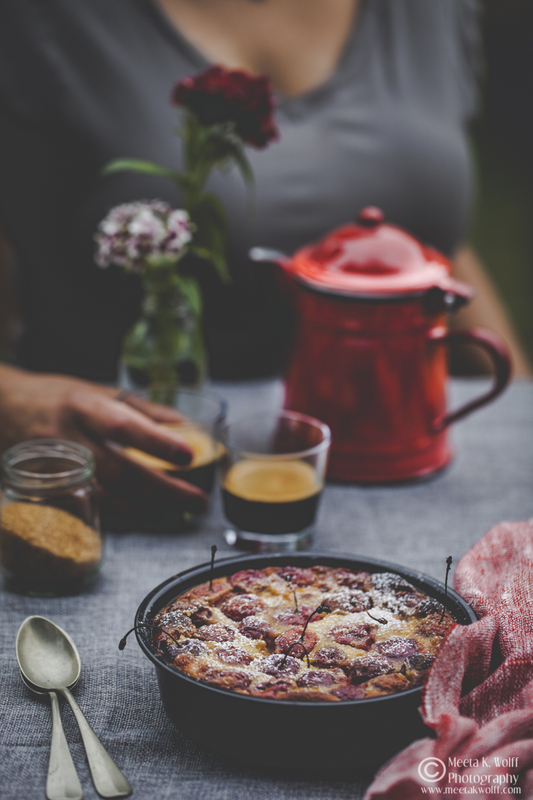 It is not quite like Grandmére Maillard's clafoutis - that is right up there and I definitely believe that a good doses of my memories make that clafoutis unforgettable. 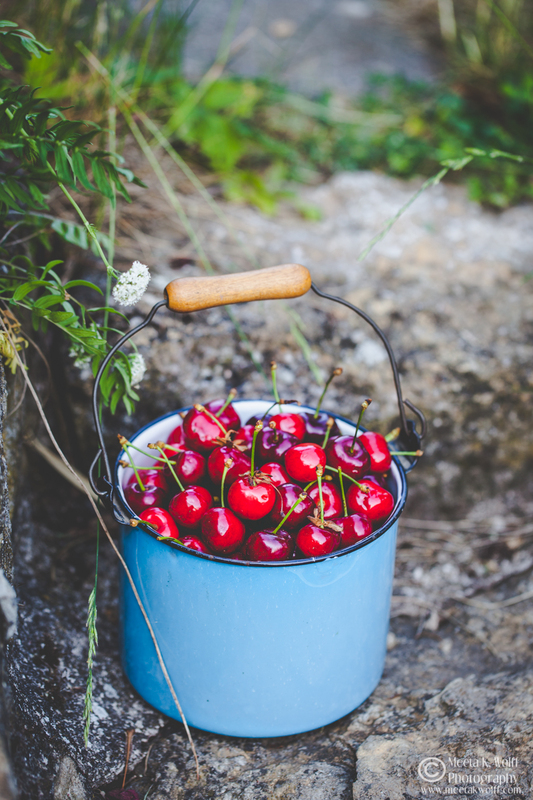 This summer when I went to the cherry orchards armed with my blue bucket - I could not help but remember my first clafoutis. There was no doubt in my mind that some of these cherries would be used for the creamy custard dessert. I played around with an idea I have been having for quite some time. 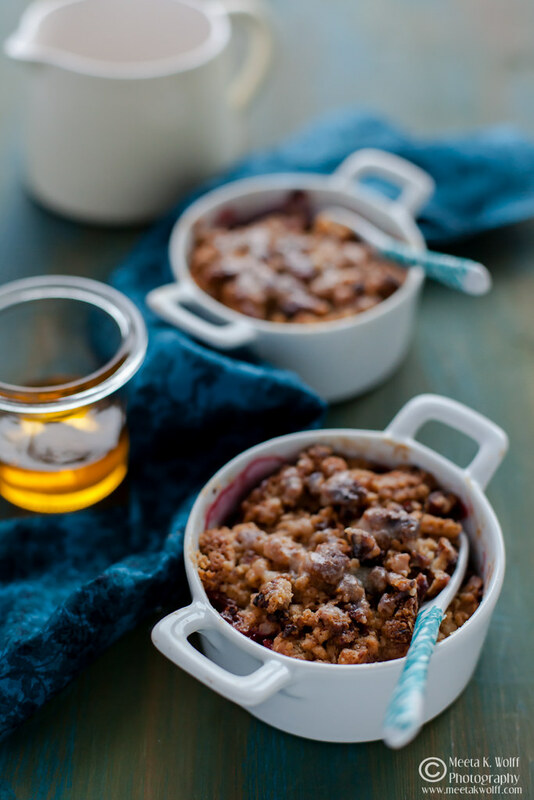 I wanted to pair the cherry flavors with coconut and make it using a grain-free flour. I used coconut blossom sugar and as I was mixing the batter it turned into a beautiful café au lait color and as it baked the kitchen smelled of caramel and toffee. I also use a light coconut milk drink and coconut flour. I found the custard turned out to be wonderfully silky and creamy with a slight hint of coconut. 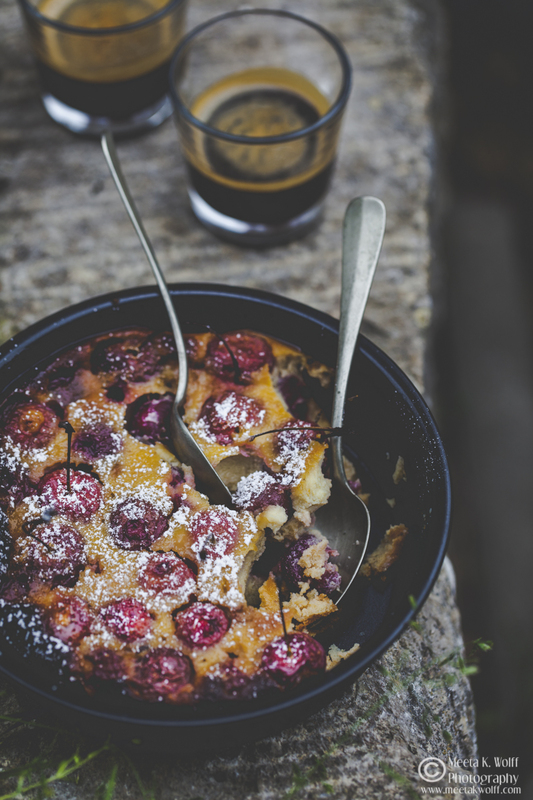 I leave some of the cherry pits in the clafoutis as I always find it gives the clafoutis a nutty boost. Give it a try if you like and come back and tell me what you think. If cherries are out of season now - then try these with plums. I have a clafoutis with fresh German Zwetschgen in the oven right now - you use whatever you have. Preheat the oven to 190 degrees C and position a rack in the middle. Butter a 24 cm round baking tin and dust it lightly with the semolina. Shake out any excess. Place all the cherries in one layer into the tin. In a food processor or a blender combine coconut milk, sugar, eggs, coconut flour, vanilla extract and sea salt and blend until the mixture is smooth - this should take about a minute. Stop in between and scrap the sides of the container. Slowly pour over the cherries, trying not to disturb them too much. Bake for 30-40 minutes until the custard is puffed and golden brown and a tester inserted into the center comes out clean. Serve at room temperature with some powdered sugar dusted on top if desired. I’d like to think there was a lesson in all this - the best things in life are rather simple and if you want to jazz the simple up a bit it does not take much. 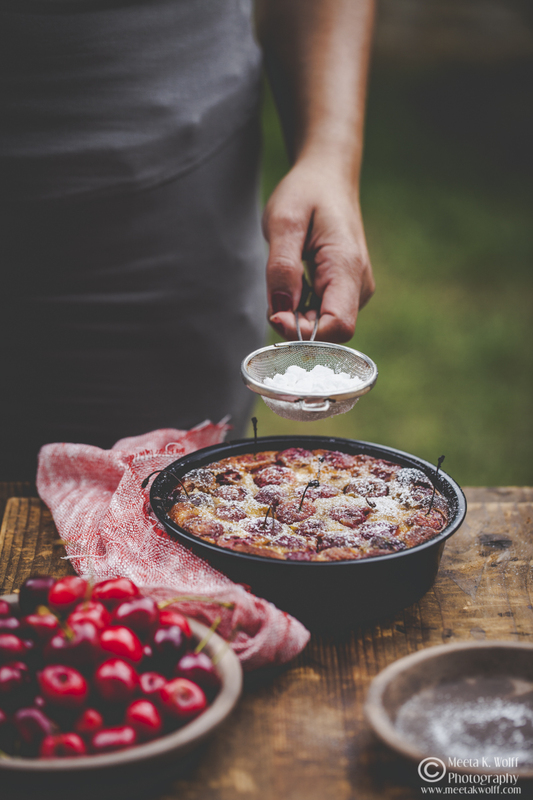 A simple cherry clafoutis was jazzed up to give some exotic summer flavour with coconut. The custard is silky and smooth. I like to do it in the blender as it really gets rid of any lumps nicely to leave a batter with a thick texture. Our temperatures right now are crazy hot - almost 30 degrees C. One would not think it was September! We are still sitting outside and enjoying the balmy hot weather with summer-like desserts and barbecues as if we were still in the middle of June! I will be off to a even hotter region next week as I head out to Dubai for a few weeks. Lots of great things happening there and I look forward to seeing all my awesome people there - family and friends. I am sure when I return the weather has turned and the beuatiful colors of Autumn will be upon us. Have a good few weeks and do follow me over on my Instagram as I will be updating my stories and feed there - just in case you miss me! Such a flavoursome one this is, cherry with the goodness of coconut milk must be tasting amazing. 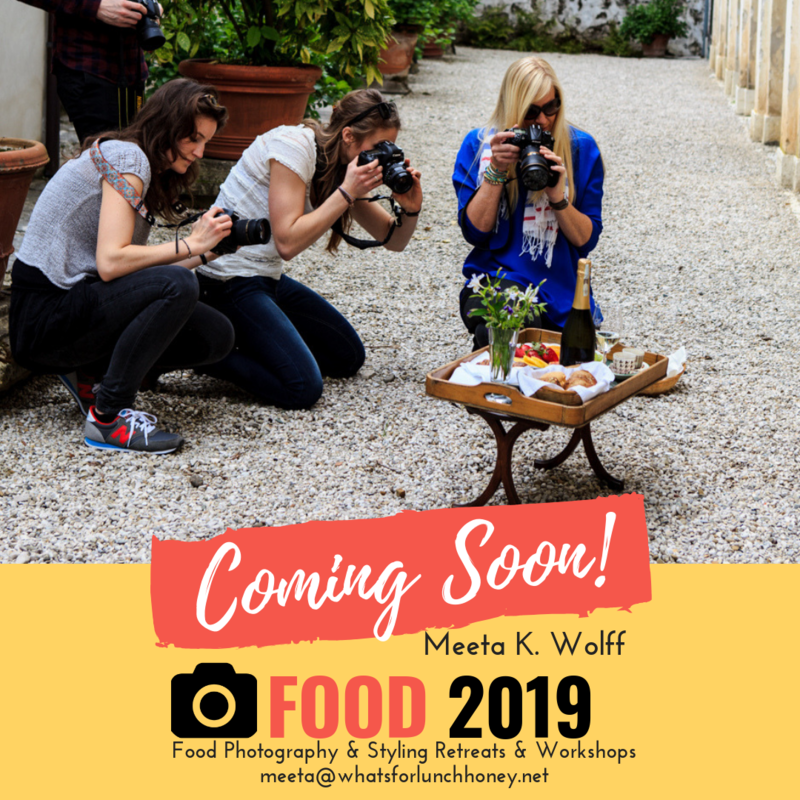 oh my goodness this sounds delicious and your photography is STUNNING! Pinning this recipe for later! What a pretty dessert. It looks amazing! 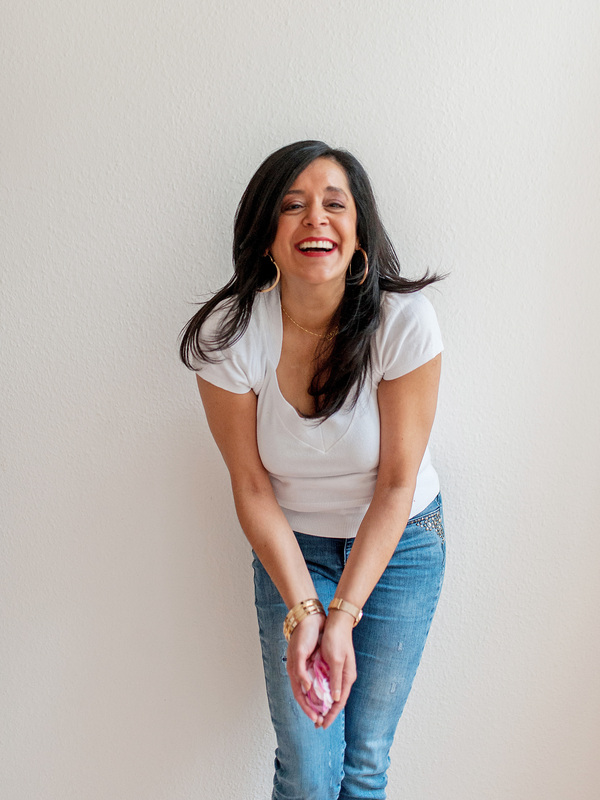 Love your memories of an incredible meal, and how wonderful that it began a love affair with a classic dessert. 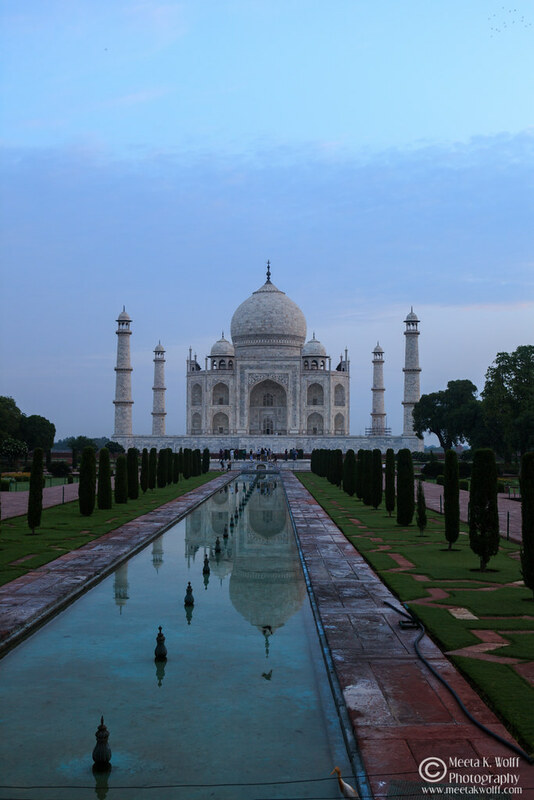 Wow, your pictures and storytelling are so lovely! 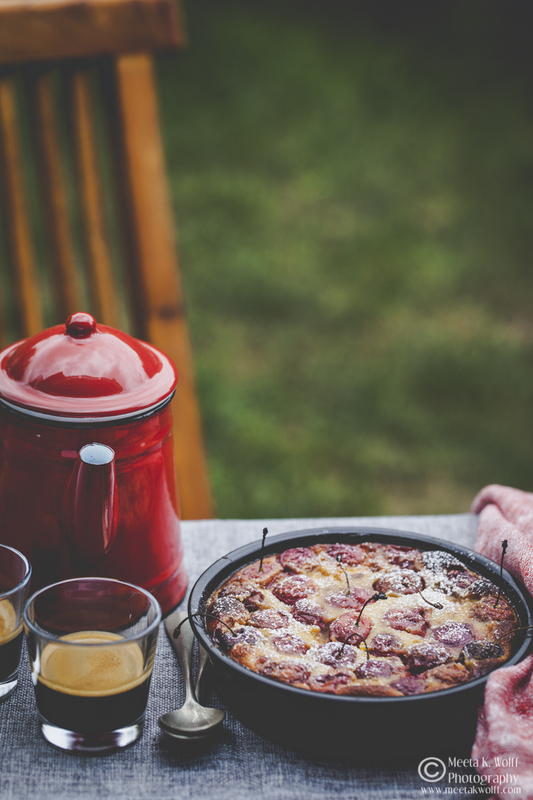 I just want to pull up a chair and help myself to a slice of clafoutis and coffee. This sounds so delicious! And your photography is beautiful! I love baking and this looks so amazing! I definitely want to try this recipe for my family. Anything cherry is always a hit. I love clafoutis! Looks so delicious! Coconut and cherries is such a delicious combo! 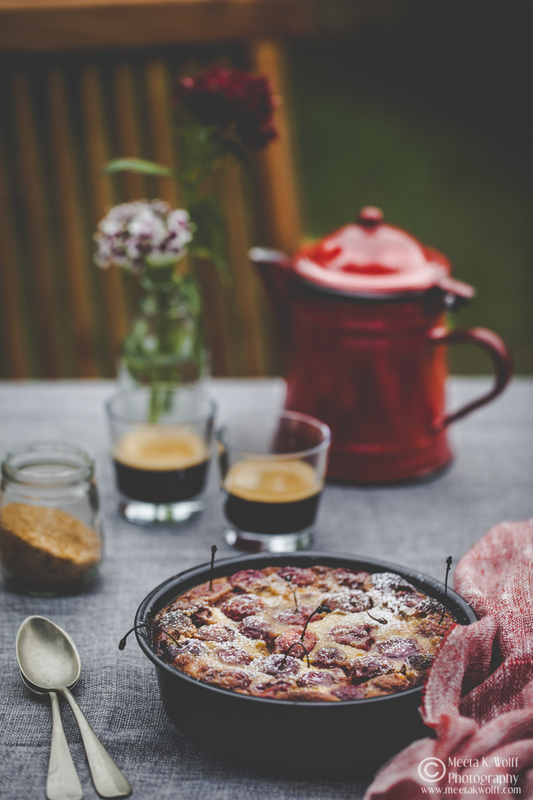 The photography is lovely and your clafoutis is just delish! Thanks for the recipe. This post is so well written! You’re so talented! And that looks extremely delicious! Humm... Seems delicious. Will try soon.. This looks so delicious. Cherries are now coming into season and I love to use seasonal produce. Wow this looks delicious AND your shots are beautiful! Thanks for sharing! What a beautiful dish! Absolutely love the photographs too - so perfect for fall! @Shibani, Thank you so much. I love photography I think that is a known fact to all my friends and followers - but there are times the photos come to life in my blog post - the words make it happen. I love your feedback. Thank you! Can't decide what looks more delicious the cherry dessert or the coffee? They both look amazing. Wow! I love everything about this post. I can picture your initial disappointment with the dinner and the contentment of eating Grandmere's cherry clafoutis. 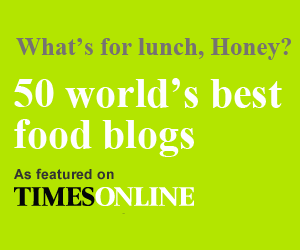 Your take on the recipe looks amazing too!